1. People are angry and happy at the same time. People are happy that the Red Sox got their second win on a walk off homer in two days when Jason Varitek took Octavio Dotel deep. People are angry that Keith Foulke blew a three run lead in the ninth to make the comeback necessary. People are angrier still, that Foulke got a win as the reward for his failure. So Jose has a modest proposal. From now on, any time a reliever blows a save but would, under current rules, be scheduled to pick up a win, he should not get the win. See isn’t that more just already? The way Jose sees it this would be an advancement in the annals of justice on par with the Code of Hammurabi or the appointment of Judge Wapner to the bench. (Note: Is Wapner still alive? If so, can we put him on a federal appeals court? No one could filibuster that.) But Jose’s proposal gets even better. you only need one… the step that lands you on first f***ing base. But then Millar went ahead and hit a game winning homer while Jose was out taking an evening constitutional with the Melendezette… thereby ruing Jose’s best laid plans.But that’s okay. This is better. Just a brief KEYS today, as Jose will be spending most of the day in beautiful Lawrence, Massachusetts, a city that unfortunately changed its name from Lowe, when the Derek Lowe for Brian Lawrence deal seemed inevitable. 1. After Kevin Millar hit his first home run of the season last night, Sox manager Terry Eurona commented that Millar was able to finally end his home run slump because he was able to “see the ball, stay square.” Jose can understand how seeing the ball could be important, but is Eurona seriously suggesting that the problem until last night was that Kevin Millar wasn’t square enough? Did he have a soul patch that Jose hadn’t noticed? Was he playing some jazz trombone off in the corner and Jose totally missed it? Jose is pretty sure that Kevin Millar has been plenty square all along. To quote an old band teacher of Jose’s, Kevin Millar “is like taking some hip swinging mariachi band and dropping it in a box.”So the problem has to be that he wasn’t seeing the ball that well before. Jose returns after two glorious off days feeling refreshed and reinvigorated. Will it make a difference in his writing? God no, but at least it gave him time watch the Celtics implode and prepare a nice Mothers Day dinner for his mother and Granny Melendez. 1. Jose is now 2-0 after spending Friday night’s game staring at the back of a pole with the Melendezette and two other friends, while completely and totally sober. (Note: Couldn’t they at least have pole dancers on the supports columns? They should give a fellow something to look at if he can’t see the batter.) Between innings, Jose finally discovered the horrible secret of why the Melendezette enjoys going to baseball games live but is largely indifferent to watching them on television, internet, closed circuit television or in Indonesian shadow puppet reenactments. “This is my favorite part,” she cooed… between innings. For a few moments, Jose thought that she meant he favorite part was staring at the back of pole. Then he decided that might not be the case, and craned his neck around the pole just in case there was something else going on. As it turned out, the grounds crew was dragging the rakes around the infield. 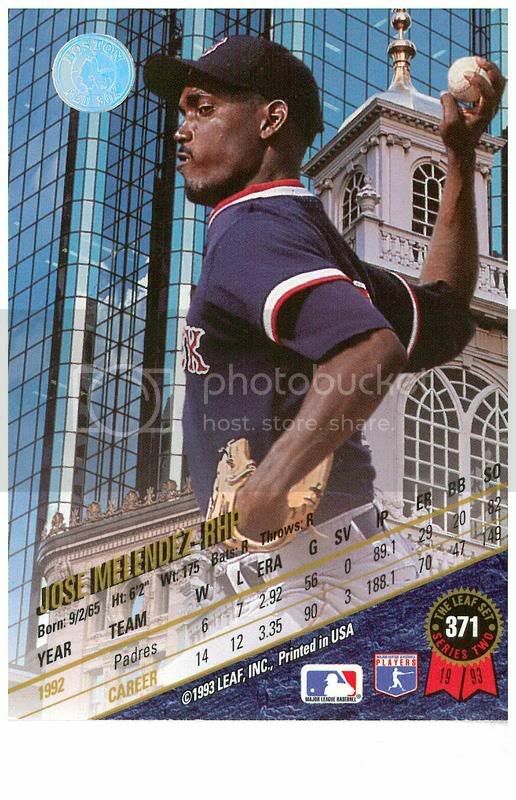 So Jose has a modest proposal to the Red Sox to make watching the entire season a year a bit more palatable to the Melendezette. Start showing the grounds crew’s work on television, but switch the innings that they rake the field from night to night to keep her guessing. That will prevent her from lobbying to change the channel to some drivel like Hulk Hogan’s Rock ‘n’ Racquetball, the Gastineau Girls or the State of the Union. If the Red Sox make this simple change, it should create enough harmony in the Melendez household that Jose can start watching a robust 160 to 161 games per year, rather than his current wan and anemic 155.